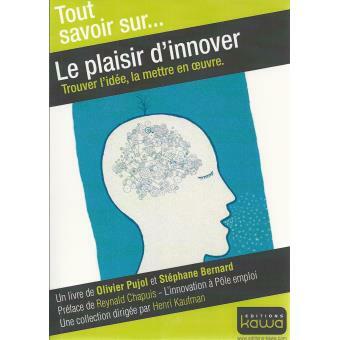 Stéphane Bernard published with Olivier Pujol ‘Pleasure to innovate‘, finding out the idea, and executing it. He kindly accepted to answer our questions on innovation learnings. 1) Nicolas Bry: You share the exemplary innovation story of Mathieu Dombale in this video, sorting out some key principles for innovation success (listening to and observing users with empathy, transversality, pilot phase, open source, business practices reviews / knowledge sharing, back and forth between experience and theory, students conferences to transfer knowledge). Which principles actually struck you the most in this fantastic story? SB: This is a systemic history, almost a complete one. 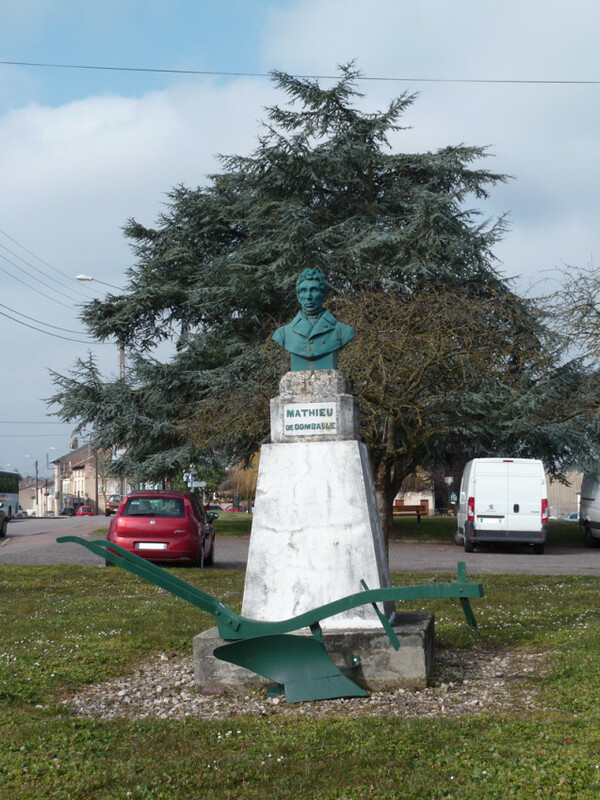 In 1816 Mathieu Dombale tackles one of the agricultural issues of his time “improve tillage.” Pragmatic, he will go into the fields to observe the plows work then “tweak” in his studio an improved quirky plow that he will develop. Based on strong performance of his tool, he will engage with obstinacy in its propagation addressing and resolving all questions arising along the way. All dimensions of innovation are present: his method (observing, experimenting, and back to theory), its ability to address all the issues that came to him (the development of the tool, testing and learning the handling of his plow, the invention of “plows challenges” to leverage opportunities for experimentation and propagation, training and education (he will create the Institute of Rouville), the exemplary (creating the exemplary firm in which he experiences all ideas in the “real and complex system” that represents a farm), creating a tooling factory, and finally the public provisioning of his plans and his experiments whether they have failed or are successful. He will be remembered as the one who invented and propagated agricultural meetings, formed the personalities who founded the agricultural schools, invented long leases for the rental of farmland. You should know that before him the rentals were concluded for a period of only 3 years, which did not allow farmers to manage crop rotations. Starting as a chemist, historians of the twentieth century will finally recognize him as the father of active pedagogy. Like shows that we must not be afraid to seek to acquire new know-how. Man is endearing. At the beginning of this adventure, he’s 40 years old, an elderly man at the time, ruined, damaged by diseases and accidents. But he had a vision to develop a sustainable agriculture which benefits all. He was, I think, inhabited by the spirit of the Age of Enlightenment in which he grew up. His last quality was whether to apply his own advice to himself. Finally, the most elegant is that eventually he has nothing “invented” again, he just simplified an existing tool: it actually just removed the wheels of the front plows. The approach of simplification is also one of the lessons of this history that we should always keep in mind. He’s an innovative model, more modern than many of us. 2) NB: You identify 4 phases in the innovation process: observation, idea maturation, experimentation / issue resolution, and go to market / roll-out. Where do you think are the most difficult hurdles? Which are the tricky moments? SB: These four phases are invariant landmarks for innovators. They involve a mix of human qualities and are penalized by contradictions made by our education, and hierarchical modes of operation. What is deeply natural is the observation state (as human beings, we spend our time observing our environment and teaching others what we have discovered). The resolution is also natural in its dimensions of “making together” and “play” in resolving the issues (and to resolve the issue first if possible!). Propagation also has a natural dimension in that we’re all very good at inventing new uses … look younger generations. In return our “rational” minds and “effective” do not like to consider the little things, marginal or new uses and this phenomenon penalizes the observation phase. For it is in this “little” that hide innovations. By definition, all innovations have started with little things. These same spirits also tend to rush on the first solution they perceive and we know that the first solution is never the right. Moreover the certainty of having the solution frequently prevents us from understanding the true purpose expected by customers. This phenomenon penalizes phases resolution and propagation. But in my opinion the biggest challenge relies in the maturation phase during which we shall make connections between elements and scattered observations and let our view evolve , our ideas, our … paradigms. The human mind is naturally formatted to classify elements. These taxonomies supported by Claude Lévi-Strauss are useful but induce stabilization paradigms. Furthermore our social behavior are made to respect that classification. Individuals tend to conform to the opinion of the group, which penalizes the expression, and understanding of different approaches. Hence a real difficulty to “move” the paradigms. First you have to know find what paradigms question, then have the opportunity to express to those who can understand, and finally to co-develop the evolution of that paradigm. And often it is necessary to go back to the “mothers beliefs” that are deeply rooted in our imagination and face many obstacles from our daily practices. The “think differently” proposed by Arthur Schopenhauer is easier said than done! 3) NB: Collaborative and participative are recurrent words in your book: how do you this approach rising nowadays? What are successful use cases that you could share with us? SB: Reynald Chapuis led at Job Center a remarkable participatory process which was successful enough to touch half the employees of this institution. By participatory we mean the fact of asking employees to contribute with their ideas and proposals on a given theme. Participatory approaches are often the simplest actions to implement and often possible to discover “golden nuggets” quickly useful to organizations. Nevertheless participatory has its limits and should be seen as a medium that can only be the first step of an innovation approach. It is nevertheless a useful way to let the employees express ideas to the institution. The collaborative is more complex insofar as it comes to co-develop a vision, a solution or approach. Technically it implies the implementation of a set of multiple intelligence. Often these initiatives face many obstacles as egos, forms of intelligence which do not match, the weight of hierarchies, our intellectual training, social behavior, etc … In this implementation it is often ourselves who are our own brakes. That’s why I regularly encourage C-level managers to begin to innovate themselves. 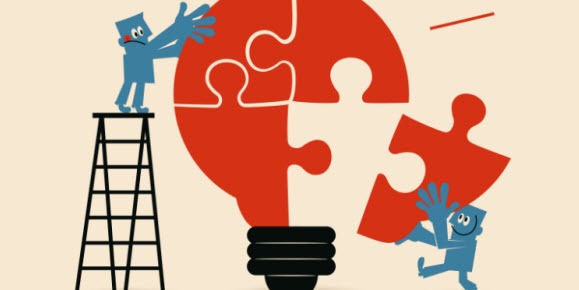 The concept of innovation is interesting but it is the practice of innovation that enriches. The opportunity of the current period is that companies and institutions have realized that they must find other ways to do it. This is a major issue for France, which is far from being the best in this type of exercise. Nevertheless a remarkable example has been developed by the city of Sceaux as part of its program of social economy and solidarity “Sceaux Valley”, piloted by Othmane Khaoua in which the citizens have co-constructed their projects (meeting for once the real needs of the territory) in partnership with an ecosystem of companies and associations set up by the city. The city plays a facilitating role. There are more than 106 projects that are rising… a success. For France this is a reversal of the mode of administration which moves from an interventionist trend posture to posture in which people can contribute directly to the issues that concern them … a breakthrough innovation for us. In conclusion, I would like to return to the main paradigms of our time. For my part I am challenged by the paradigm of progress. At the time of Dombasle in 1816, the industrial revolution was in its infancy and many alternative pathways existed, on the modalities of labor, product and the needs of society. The middle of the 19th saw the notion of progress rule as we know it, and since, we now perceive more clearly the consequences on nature and our modern lifestyles. This notion of progress is highly influenced by the technical and technological dimension. In parallel, but more discreetly we witness the remarkable advancement of knowledge in human sciences, understanding of the human brain .., that is to say to ourselves, our operations and our expectations. I’m not sure that the “progress” and our expectations are completely consistent. In other words what expectations do we have for “progress”? What adjustments of this concept would be needed? I’d like to know what your worldwide readers think about it? You have the chance to contribute to an innovative worldwide community, and I will enjoy the opportunity of this interview to question them in return and ask them what, in their view, are the main paradigms that we should reconsider?